Japan has an elaborate gift culture. Therefore it should come as no surprise that the Japanese are masters of gift wrapping. Their attention to detail, combined with their ancient tradition of beautiful paper makes for some of the most gorgeous gift wrapping I have ever seen. You might notice that the Japanese wrapping paper is held in place with a single piece of tape. 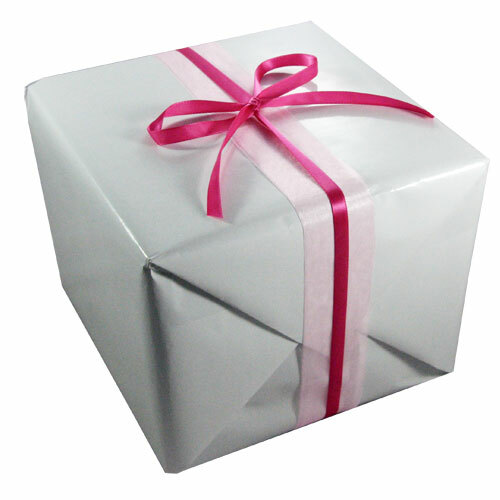 This style of wrapping is different from the common Western way of gift wrapping, in which at least three pieces of tape are necessary: one for the bottom and one for each side. The trick to only using one piece of tape is in the way you fold the paper. 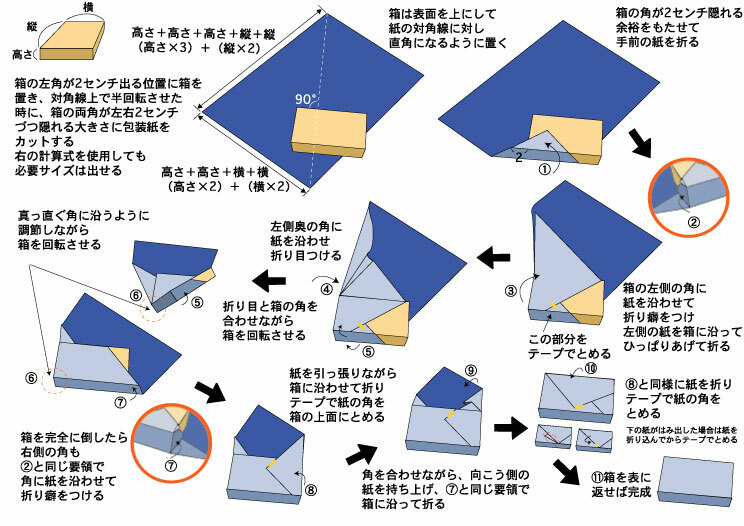 Not only do you need less tape, the Japanese way of folding the wrapping paper is also very beautiful. The only downside is that you need to use more paper than with Western gift wrapping. 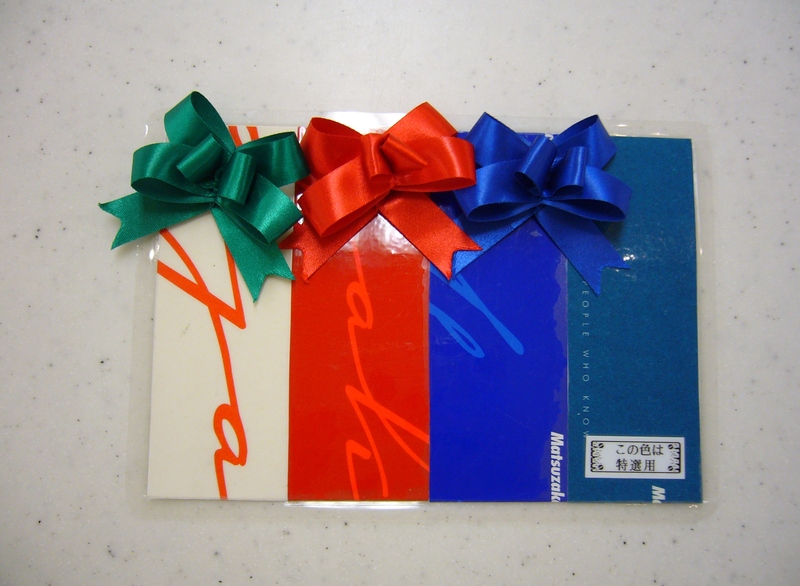 I have often stood watching in fascination as a Japanese store clerk was wrapping a gift. For several months I worked up the courage to ask one of them if I could film their gift wrapping technique. Finally I managed to secure the following footage. Unfortunately the man in the video is not the most skilled gift wrapper that I have ever seen, nor the most speedy one. He even uses a few extra pieces of tape! But it might still prove useful in case you want to have a go at Japanese gift wrapping yourself. At the end of the video, the store clerk asks ‘yoroshii desu ka (is this ok? )’ before putting the bow on the package. That is because in many department stores, the customer gets to choose which paper and which kind of bow or decoration is used. The store clerk in the video is confirming that we want, in fact, the blue bow. In Matsuzakaya, where this video was taken, they have convenient sample cards with all the available options. The customer can choose any combination of these bows and papers. The fact that a choice is offered and the cute little sample card are so Japanese! It’s things like these that I really miss from Japan. 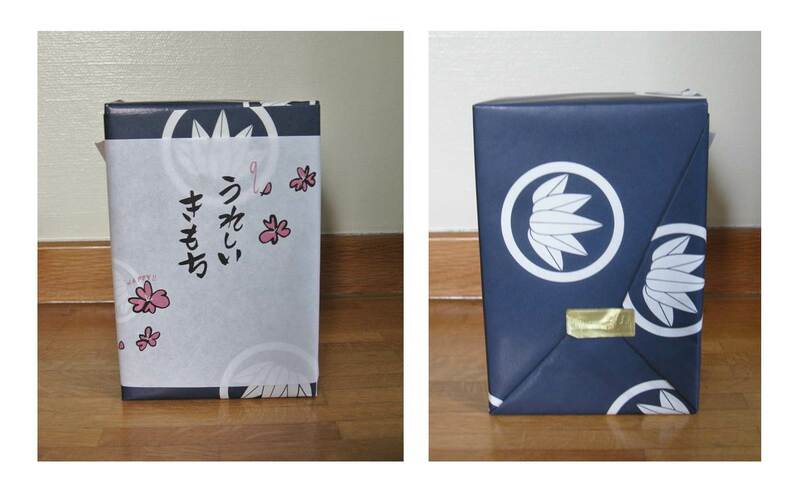 This entry was posted in Japan and tagged Cultural differences, culture, Daily life, Department store, Gift culture, Gift wrapping, Gifts, Impressions of daily life, Japanese culture, Japanese gift, Japanese gift wrapping, Shopping, western gift wrapping by Haruko-chan. Bookmark the permalink. I like japanese gift wrapping! They always make beautiful wrapping even small gits. I agree, their attention to detail is amazing! I’m sorry that you can’t access the video. Does it have some sort of region lock? If so, please let me know and I will try to fix it. How do you measure the amount of paper to use? I’m not sure. I’ve seen most store clerks just do it by eye, or in other cases, where they only sell boxes of certain sizes, they have a stack of paper of the right size already pre-cut. i’m always at awe learning about how much details the japanese put on presentations. i always enjoy shopping in japan, and pay attention to how they efficiently wrap them and do so with good taste. Yes me too. I love how they create beauty everywhere. Where are the Japanese when I want to wrap my holiday gifts? Fascinating and informative post about a complex culture. Oh my gosh I didn’t know they wrapped stuff this way! I had to improvise one Christmas when EVERYTHING was closed and I had seriously 12 cm of tape to wrap all my presents. I managed it, yay me! But I thought they looked funky because it wasn’t the traditional wrap job. No one complained and now I know I was pro an Japanese wrapping before I knew it was a thing.What is it they say about necessity being the mother of invention? Creativity can take you a long way! I can do that. ^^ My mother is a good gift wrapper. She learned how to wrap cylindrical things when she worked part-time as a college student in the “nori” section of a department store. They come in cylindrical cans. It should be noted that we take just as great care in unwrapping which no one in the west seems to do (I don’t know about the Chinese or the Koreans). We are never ever supposed to rip any of the wrapping, an act considered rude. Cylindrical things are so hard to wrap beautifully! If you are ever wondering what to blog about next, maybe you can make a video of your mom wrapping a cylindrical item. I would be very interested to see that! Same here! I love their attention to detail! Receiving anything wrapped by a Japanese person is a thrill in itself. You know the attention to detail is a gift all of its own. I have been embarrassed many times taking gifts from Australia to Japan (on sister city visits and the like) where the volume of gifts and hasty departure overseas often led to shoddy wrapping. They must think we are barbarians sometimes but they are always gracious never to comment or give any indication of their inner assessment! Yes, it does look quite complex and I’ve never been able to reproduce it just by looking at it. Sometimes I would carefully unwrap a gift and then try to use the existing folds to wrap it back up again, but even then I couldn’t do it. Maybe with this video and diagram, I can start practicing myself! I do wish I could have made a video of one of the ladies at the traditional Japanese sweets counter in Matsuzakaya. The speed with which they wrap gifts is incredible!! !